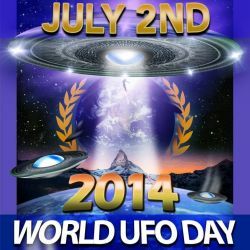 The 2nd of July is World UFO Day. The celebration raises the awareness of the UFO phenomenon. The 2nd of July also commemorates the "Crash at Roswell" which took place in 1947. 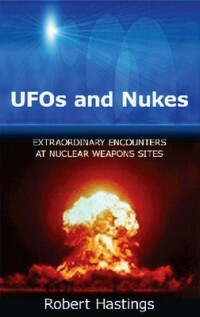 Visit World UFO Day's website. We are sad to announce that journalist and author Terry Hansen has passed way. Terry Hansen was well know in the UFO-community for his book: "The Missing Times - News Media Complicity in the UFO Cover-up". He was one of the few researchers who dealt with the media's roll in connection with the UFO-topic. We hope that many journalists will follow in his footsteps in the years to come. Former US president Bill Clinton appeared on a TV show in April this year (Jimmy Kimmel). Yet again* he was questioned about presidential inside knowledge of UFOs and aliens. Clinton yet again fielded the question making it more or less clear that he had no knowledge of earth being visited from outer space. The interview was held in a good humoured atmosphere, and Bill Clinton added (in relation to Ronald Reagan's statement at the U.N.'s General Assembly back in the ´80´s) that if the Earth one day was visited by aliens, it would surely bring mankind together. It could have been interesting if Clinton had mentioned the so called Rockefeller Initiative and his Chief of Staff, John Podesta´s involvement. Click ”Read more” and see Disclosure activist Steve Bassett speak about The Rockefeller Initiative. *Bill Clinton was asked the same question at a Hong Kong Questions & Answers meeting held in 2005. The American exopolitical activist Stephen Bassett received the Researcher of the year-award at the International UFO Congress in Februar 2014. 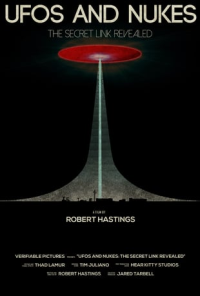 Bassett has since 1996 pressured the US government to lift what he calls the Truth Embargo concerning the extraterrestrial presence on Earth. One of Bassett's major accomplishments has been The Citizen Hearing on Disclosure in Washington DC in April/May 2013. Watch piece from Open Minds TV below.